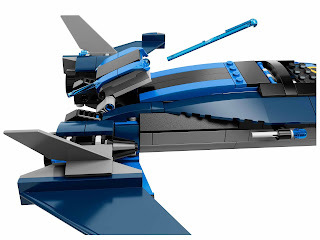 come with a blackbird jet and the sentinel robot. 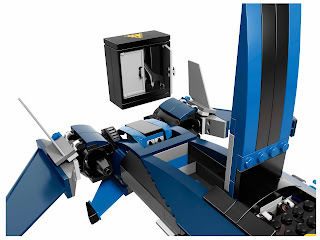 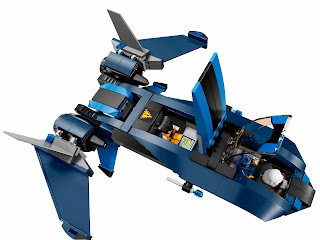 the jet has an openable cockpit, an openable rear roof ledge, a toolbox, a fire extinguisher, adjustable wings, a spring loaded shooter, 2 missiles and 2 flick missiles. 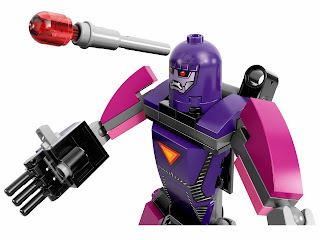 the robot has grabbable robot hands, a big laser weapon, 2 rotatable flick missiles and posable arms and legs. 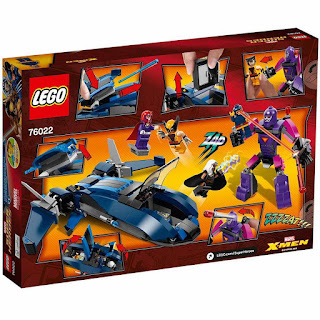 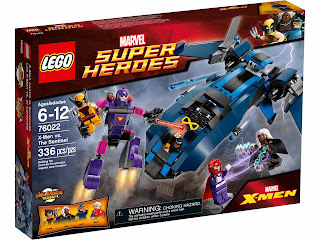 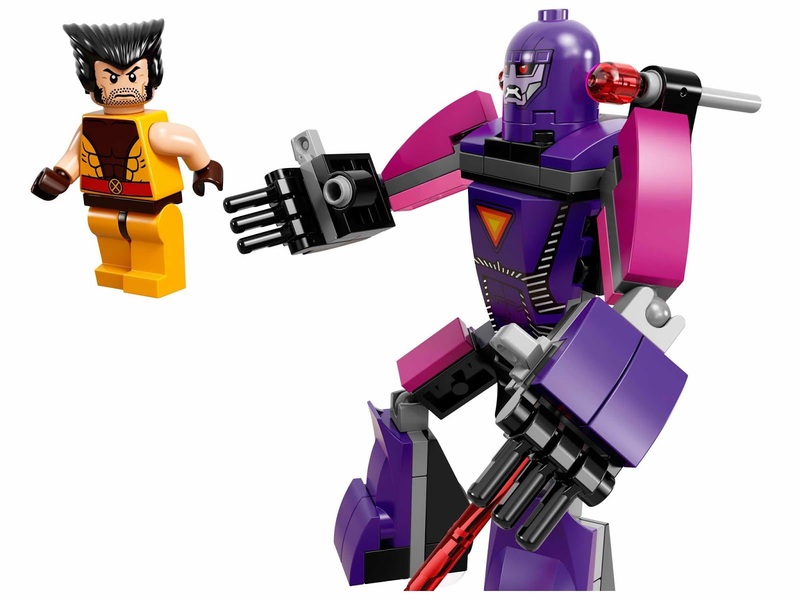 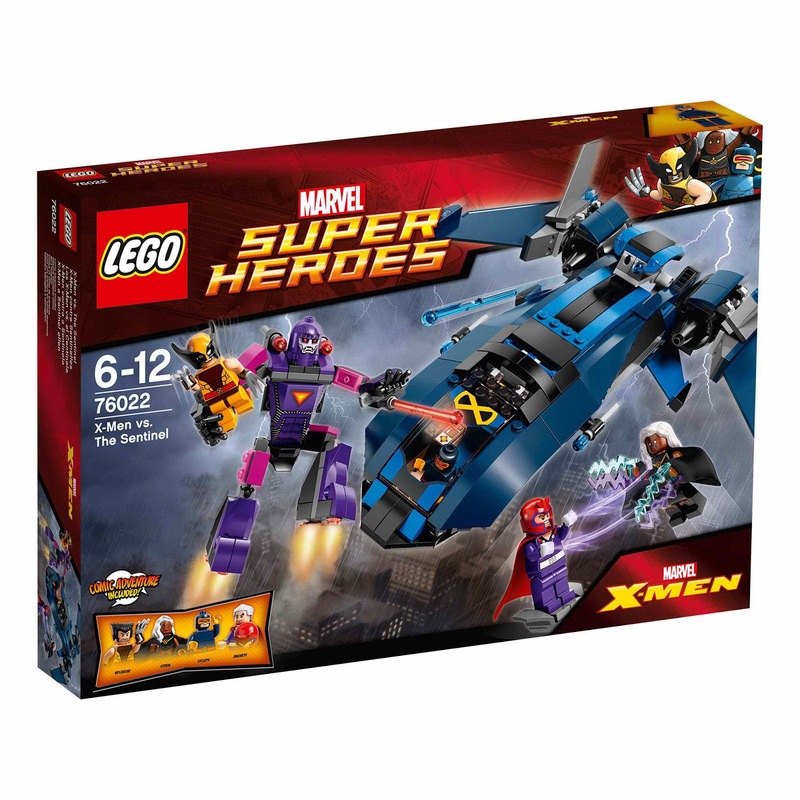 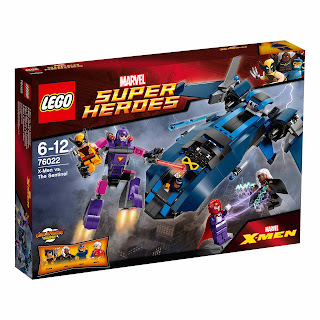 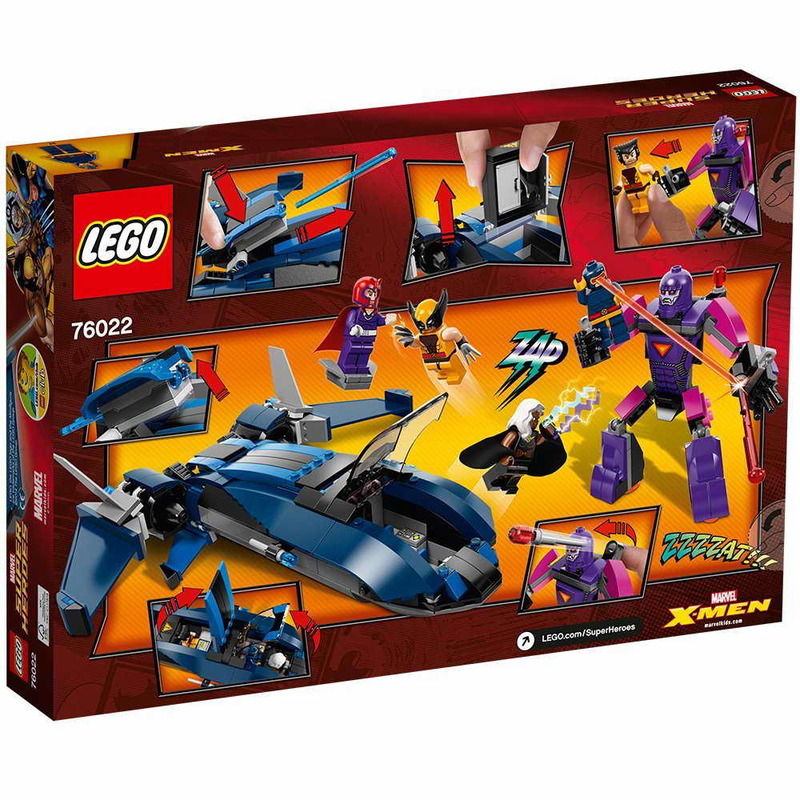 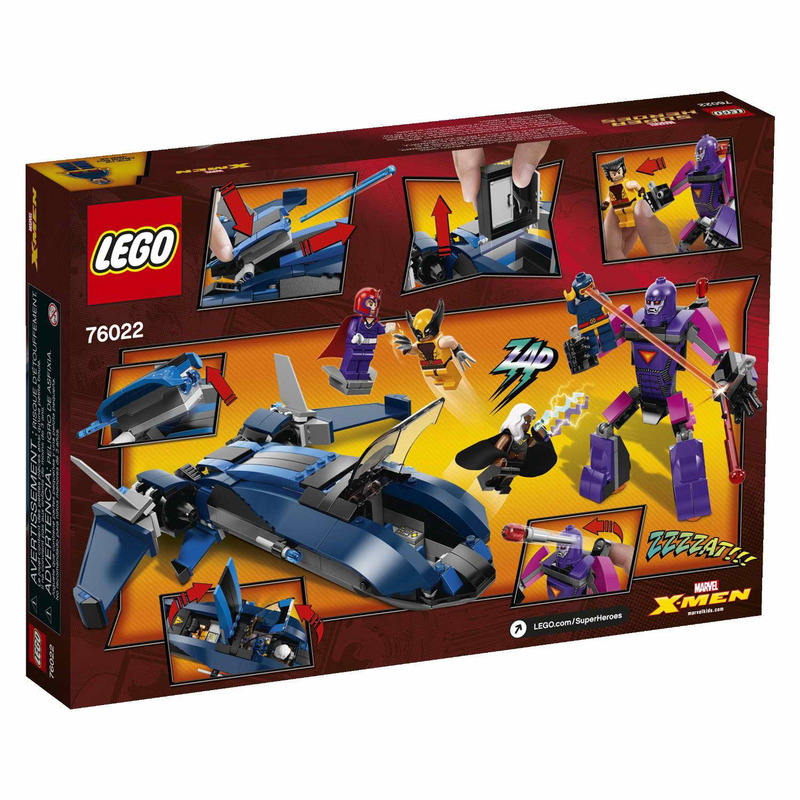 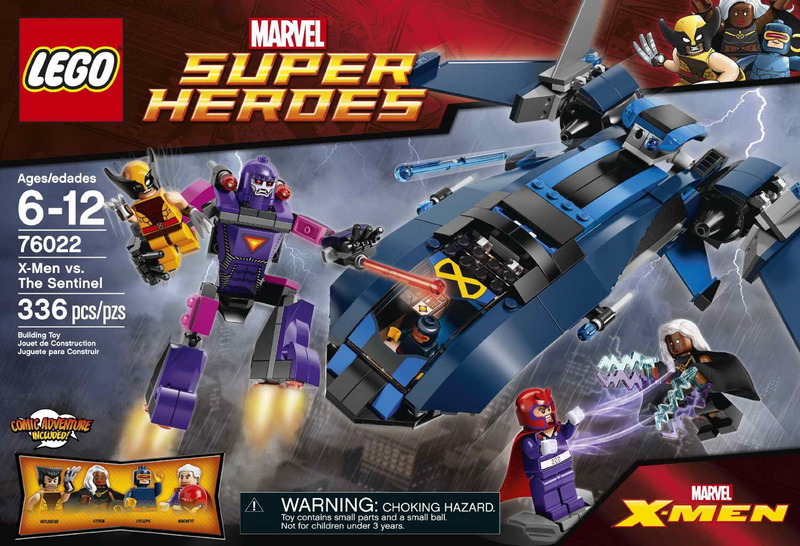 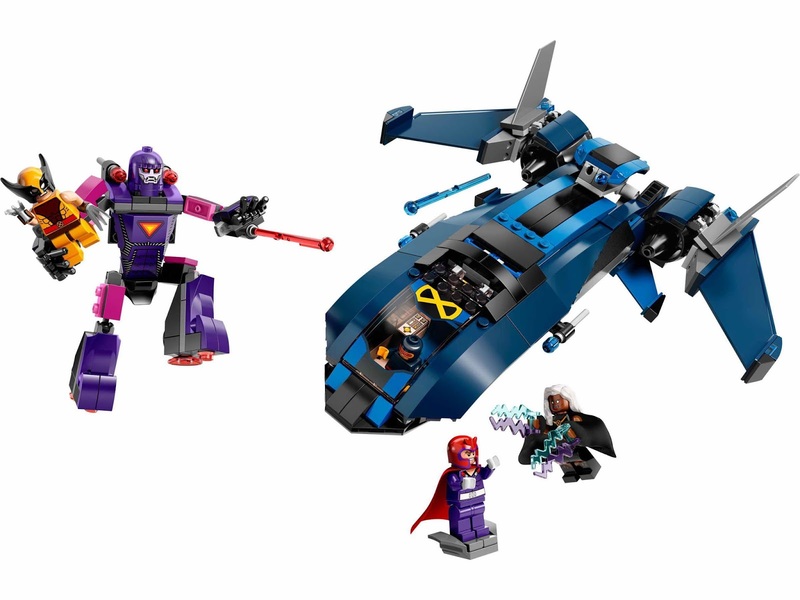 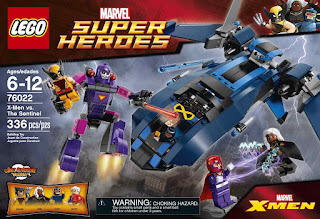 minifigs included a wolverine minifig, a cyclops minifig, a storm minifig and a magneto minifig.